11th Day of Christmas – Special Offer! Home / Blog / 11th Day of Christmas – Special Offer! On the 11th Day of Christmas – our special offer is Revitalash Mascara. Get $5 off when you purchase it. 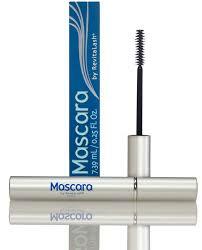 RevitaLash Volumizing Mascara helps project longer, thicker, more defined lashes that highlight your eyes. This unique formula delivers volume and definition with no clumps, making even tiny lashes gorgeous with infinite precision. It comes in the color Raven (black). Purchase on our online store and get $5 off which makes it $19.00. The perfect stocking stuffer! store.candessaaesthetics.com use code longlashes. 10th Day of Christmas - Special Offer! 12th Day of Christmas - Special Offer!